It is with great sadness that the family of Misuyo “Dot” Wakano announces her passing after a long battle with Alzheimer’s on Tuesday, April 3, 2018 at the age of 80. Dot will be lovingly remembered by her daughter Martha and her two special grandsons Ryan and Kevin Kendal and their father Kim; her brother Johnny Ikari; two sisters: Masayo (Gordon) Mayede, Jenny (Jim) Suzuki and many nieces and nephews. Sadly predeceased by her husband Yoshiharu in 2002 and son Rick in 2003, sisters: Sayuri and Yasue and brother Alex. A special thank you to the staff at Brandt’s Creek Mews, Apple Grove Wing for their special care and attention to our Mom. 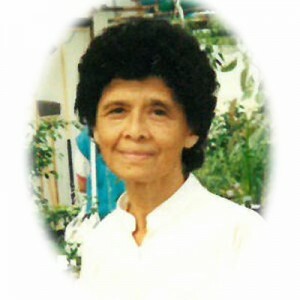 A private family gathering, to honor her life, will be held. In lieu of flowers, donations may be made to the Alzheimer Society of BC, www.alzheimer.ca. I am so truly sorry to hear of the loss of your very dear mother and grandmother. She was a fine, gentle, hard working woman. I pray your precious memories have carried you all through her long illness and that they continue to do so now.